Super Saver: Should Fraser Forster be England’s number one? Aye, what a weekend it was for me! 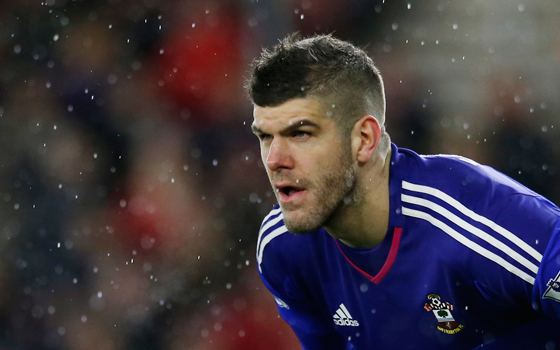 Southampton have been rocketing up the league, and it has coincided with the return of Fraser Forster (pictured). The English shot-stopper has kept six straight clean sheets, and hasn’t conceded a goal for 633 minutes! If only he pledged his allegiance to the Scottish national team instead! Some great footy on the tele and the title race is now wide open. While it is not quite so tight at the top of our alternative table, there are still plenty of times jostling for position, and all thanks to those great goalkeepers. England now have three great goalkeepers in Joe Hart, Jack Butland and Forster. Who said teams don’t care about goalkeeping anymore. If anything, goalkeepers are having a renaissance this season. Elsewhere in the Premier League, Leicester may have lost at the weekend, but their fairytale season continues, helped primarily by Kasper Schmeichel. Jamie Vardy may get all the headlines, but Leicester have faced 106 shots on target this season, the most of any of the top six. Without a top goalkeeper they would be struggling to get into the Champions League, let alone challenge for the title.